← Could these be the same plant? 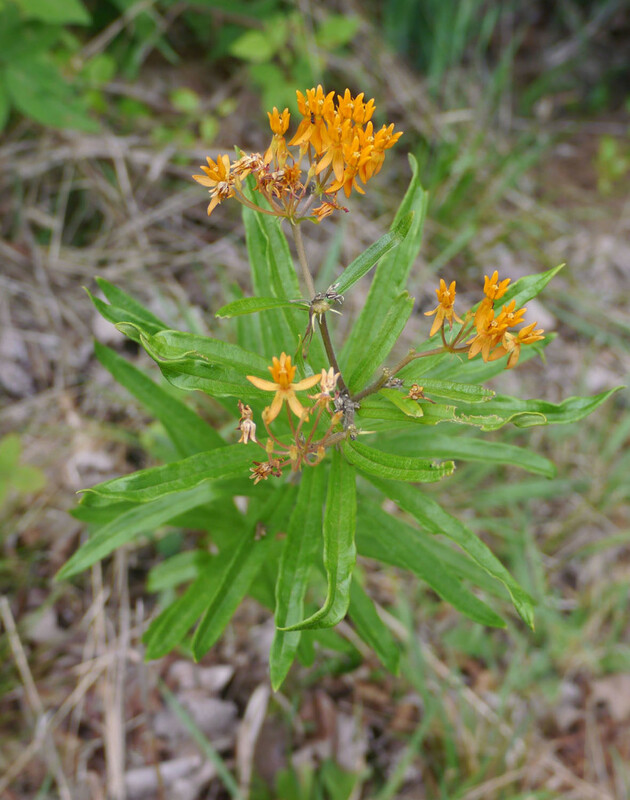 Butterfly weed (Ascelpias tuberosa) displays beautiful orange flowers during summer months. The flower color ranges from a strong red-orange through orange and toward a milder yellow-orange. 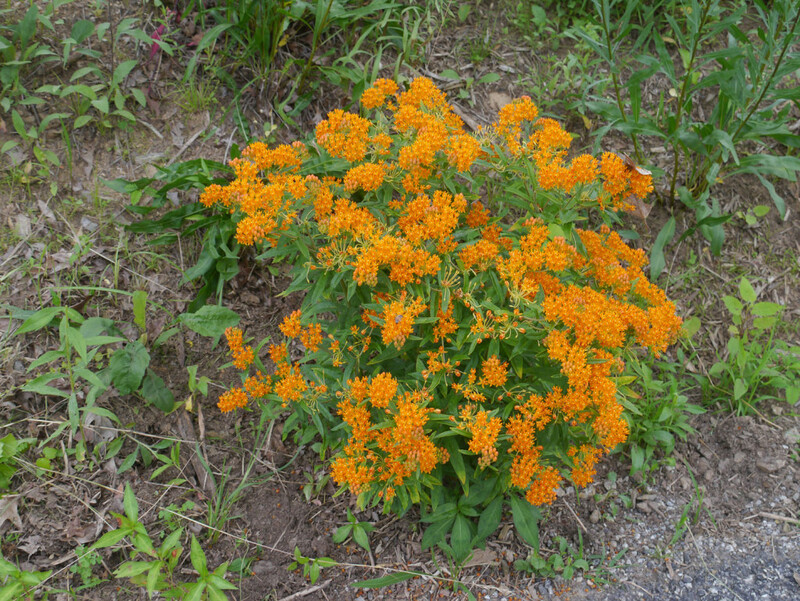 This plant grows throughout North America in dry, sunny locations. The inflorescence grows as an umbel of flowers. 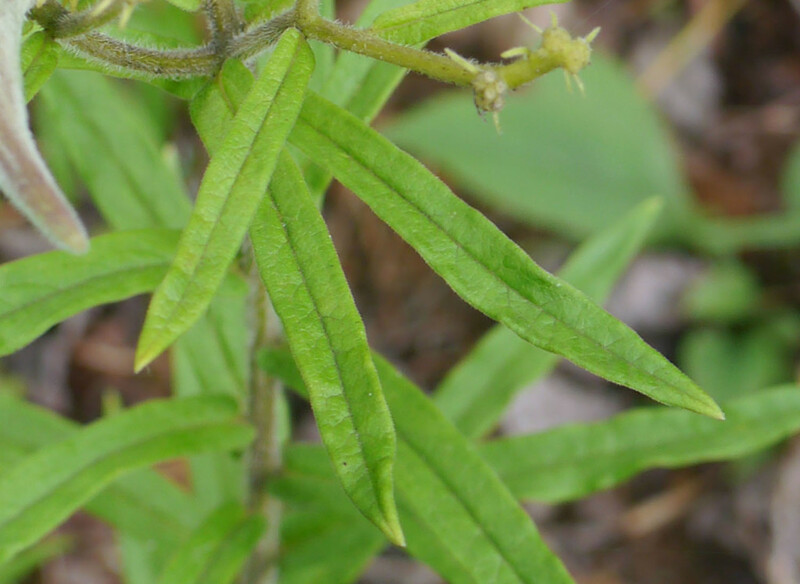 Butterfly weed’s leaves are linear with a prominent central vein. They grow alternately along a hairy stem. 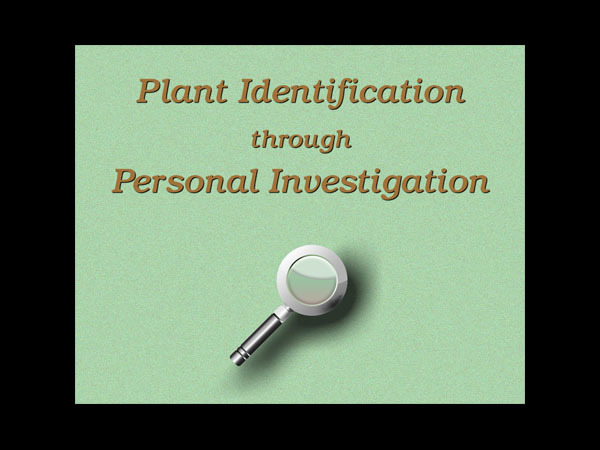 At any single point in time during the summer, the plant may have fresh blossoms, dying flowers and — if all goes well — the beginning of a seed pod. 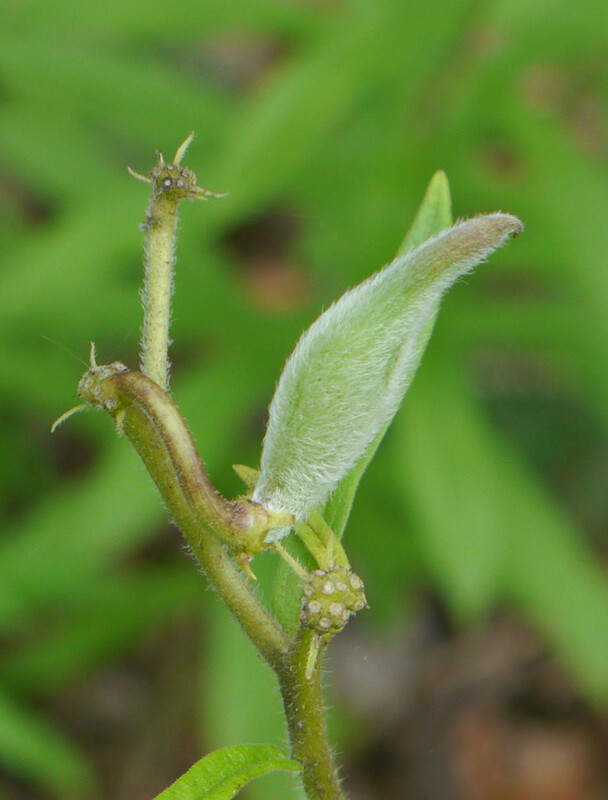 The hairy seed pod grows, expands and contains developing seeds for about six weeks. 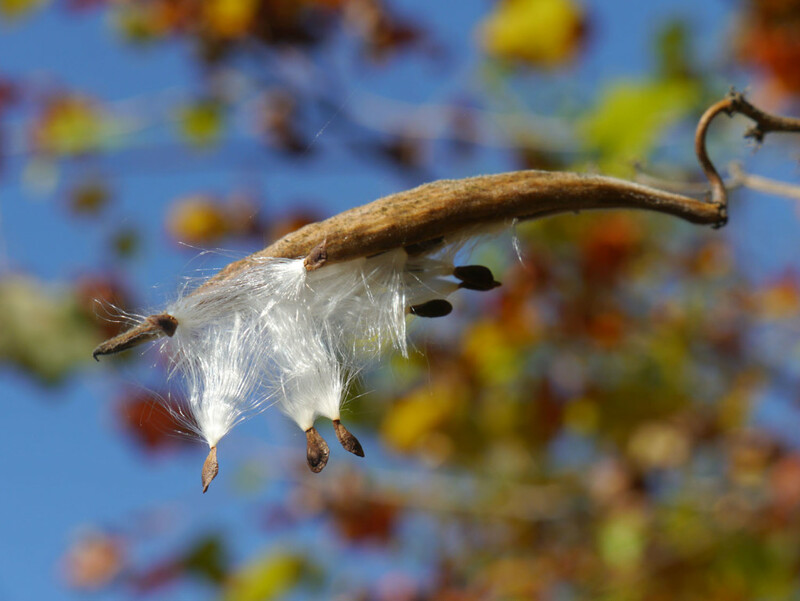 When the seeds mature, the seed pod splits open and releases the seeds with their silken parachutes. 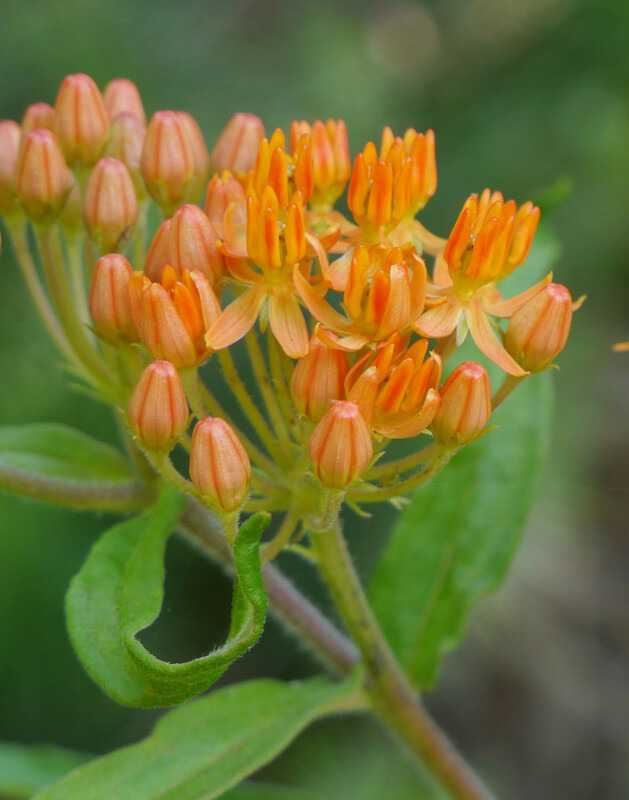 Watch this video to hear my story of observing Butterfly weed (Asclepias tuberosa) for five years as I learned to identify it, to discover how the flowers become fertilized and to find the few seed pods which may develop for any plant.